Seven-time NASCAR champion, USA's Jimmie Johnson, finishes the Boston Marathon in 3:09:08. "This was the most challenging thing I've ever done. 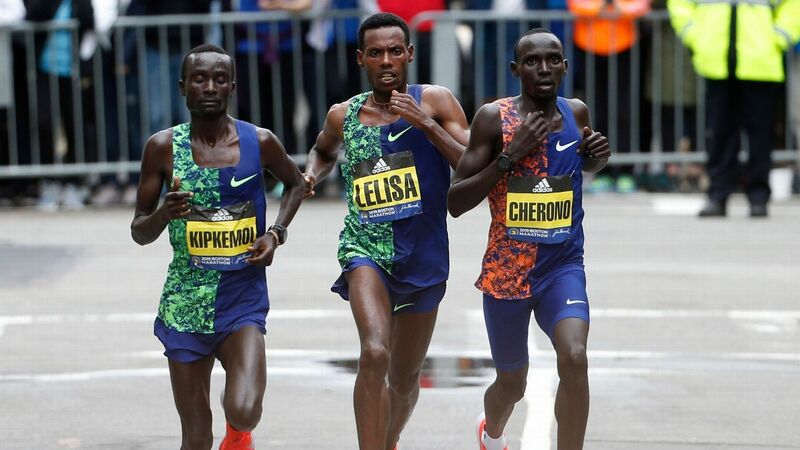 What an experience," the 43-year-old tweeted after the race. Johnson ran the race just two days after the 400-lap Monster Energy NASCAR Cup Series race at Richmond, where he finished 12th. "My legs are junk right now and I can barely even walk right now. But it was worth every bit of it," he said. Overnight sensations are rare in ultrarunning, but if ever there was one, it's Clare Gallagher. And Gallagher is using her new platform for environmental causes close to her heart. The 51-mile relay commemorates the march, led by Dr. Martin Luther King Jr., that brought forth one of the most monumental civil rights achievements of the era. The International Olympic Committee's executive board has recommended adding breakdancing, skateboarding, sports climbing and surfing to the 2024 Paris Olympics. The full membership meets in June. Paris wants to include hip-hop's original dance in the 2024 Games. In an exclusive interview, Katelyn Ohashi explains why she will be debuting a new floor routine at Saturday's Pac-12 Championships. Katelyn Ohashi has taken over the internet before. But the UCLA gymnast hit bigger than ever in January with a perfect-10 routine that became one of the most viral moments in sports this year. Not so long ago, the idea of Floyd Landis owning a cycling team would have seemed impossible. But he's back and primed to enjoy every moment.